In winter, the American Birkebeiner event draws thousands of people every year to watch or compete in a 50-kilometer cross country ski race. Treeland Resorts offers lodging for those with Birkie fever! All of our Four Seasons Year-round units have fireplaces. Competitors and spectators can soak in Jacuzzi whirlpools available in many of our cabins to soothe tight muscles and take away the chill. 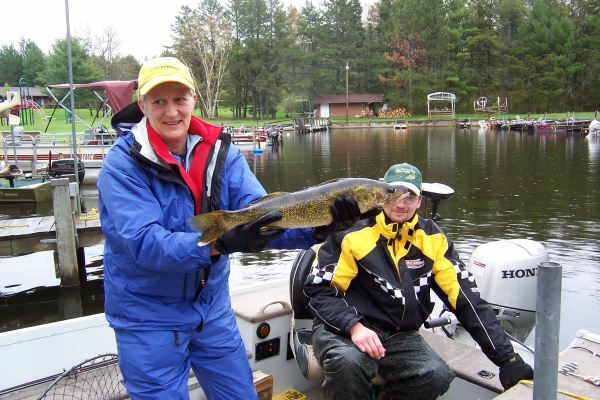 Springtime on Chippewa Flowage means Treeland’s own Challenge, a catch and release walleye tournament with thousands of dollars in prizes and door prizes at stake. Try your luck at catching a prize walleye, or just take part in the food, fun, and fish fry frenzy! Treeland offers discounted lodging rates in the spring.